Volete trascorrere una serata alternativa a Bologna? Volete scoprire nuovi locali in cui bere shot e drink? Volete conoscere nuovi amici durante una notte pazza? Sì?! 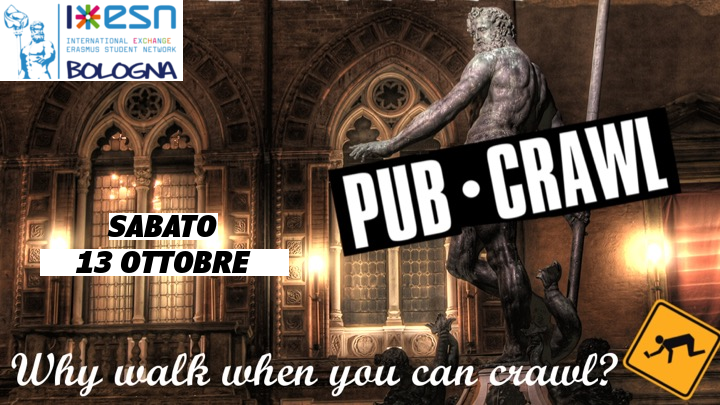 Allora la vostra notte sarà The Pub Crawl con ESN Bologna! Si farà tappa in alcuni bar di Bologna dove potrete bere birra, cocktail e shot a soli 13€! Se la ricorderete, sarà una delle serate più belle del vostro Erasmus!!! La data è Sabato 13 Ottobre, per partecipare dovrete iscrivervi al form che trovate a questo LINK e venire a pagare presso il nostro ufficio! E finito il Pub Crawl andremo tutti a ballare al Kinki! Ricordatevi di portare con voi la vostra tessera AICS per poter entrare al Kinki! The countdown has started: get ready for Saturday, October 13th! 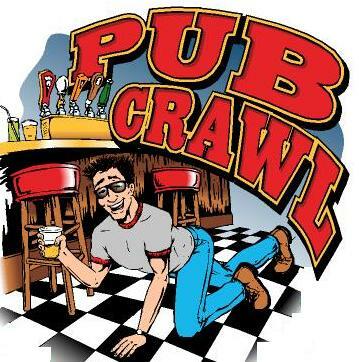 Your night will be the Pub crawl with ESN Bologna! If you want to have fun, meet new people, discover new places and drink with ESN Bologna, this is the right event for you, and it’s for just 13€! If you remember it, it will be one of the best nights of your Erasmus!!!!!! The event will be on Saturday, October 13th. You just need to fill in the form at this LINK and come to pay the fee at our office! And after we'll all go dance at Kinki! Don't forget to bring your AICS card for Kinki!